Upholstery Cleaning Dallas offers you the most trusted technicians in Texas, highly trained and educated to provide you the best upholstery cleaning service possible. Your upholstered furniture are an integral part of your home, some are even a real investment. Upholstery Cleaning Dallas employs the most modern techniques and the newest equipment to deep clean your upholstered furniture, renewing their look. The buildup of stains, odors, and dust and will disappear as if they were never there. Call us Dallas Carpet Cleaning to give your upholstered furniture the best treatment possible. Sofas, armchairs and other upholstered furniture receive a lot of attention, especially in a home with children or pets. Although dirt and stains are inevitable in a home, they do not have to be permanent. 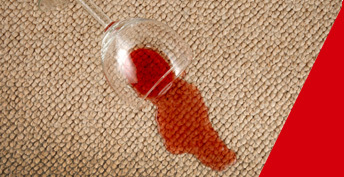 Calling Dallas Carpet Cleaning, will revitalize them and restore their original look and feel. Protection, restoration and deep cleaning of finest natural fibers and the hardiest synthetics, including heirlooms. Safe for children, pets, elders, and people with allergies. Prolongs the life of your furniture, therefore, saving you money on the long run. Drapery and window treatment and cleaning. We also clean auto interiors, boat interiors, office dividers and any upholstered item. Upholstery cleaning service session starts with an evaluation. An Upholstery Cleaning Dallas specialist will thoroughly inspect the fabric to determine fabric requirements and identify areas needing special treatment. On the next phase our skilled technicians remove stains, odors, mold and dust buildups, and any residue that does not belong on the furniture. The last phase is the application of an anti-stain treatment. Our service can be applied on premise or off premise, at your convenience. Call Carpet Cleaning Dallas today at for a free, no-hassle, no-commitment estimate. Don't forget to ask about other residential and business cleaning services.